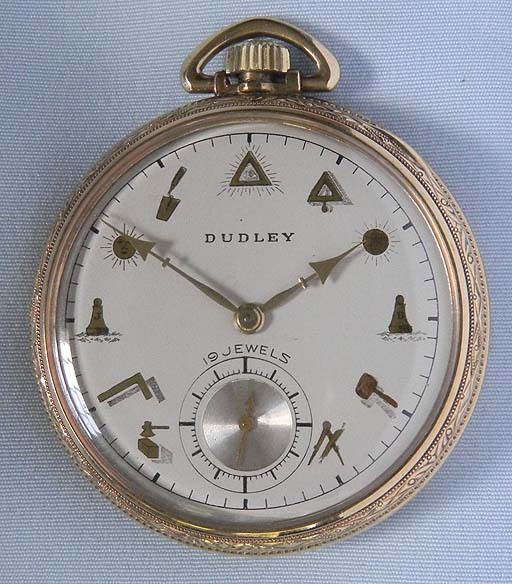 Fine gold filled Type III Dudley Masonic antique pocket watch with original special dial circa 1930. The bridges of the 19 jewel movement in the shapes of Masonic symbols with applied silver bible. 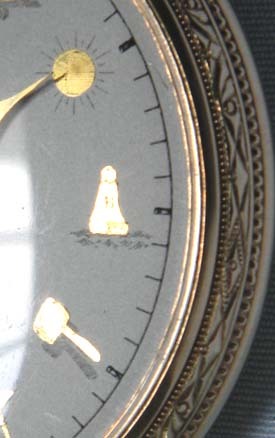 The dial with applied gold masonic symbols. 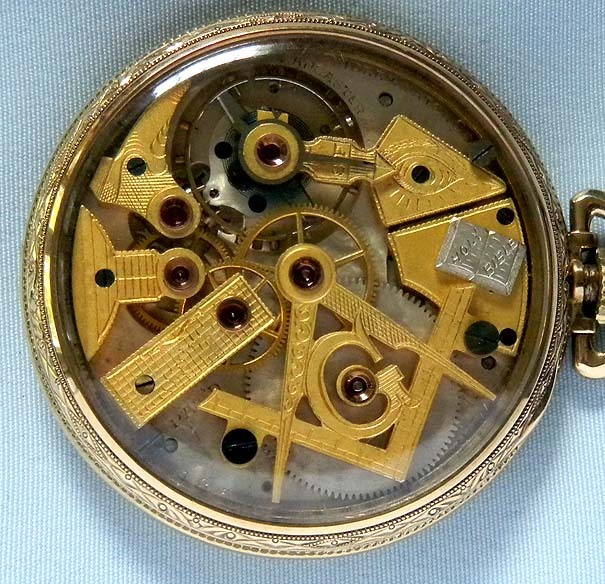 The exhibition case with fancy bezels, bow and pendant. A most attractive example.